Published in The Ofi Press issue 38.
the grazed street where we live became an aquarium. how such creatures were made to stumbling umms. back in the wild, when I was out buying bedsheets. swim like Houdini, eyes brimming with bubbles. and lost my place in it. Rebecca Bird is a young poet from the Westcountry, now based in the East Midlands (UK). She has been published in the Bakery, the Crane Papers and Envoi, among others. She is studying for a BA in Creative Writing and English at De Montfort University and holds down a retail managing job on the side. 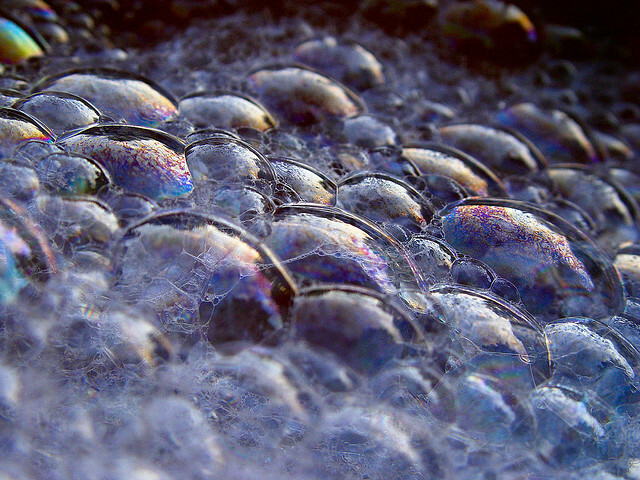 Image: "Sunset Bubbles" by Scott Robinson.